At the second Trump-Kim summit, experts expect that North Korea will likely be exchanging the destruction of its main Yongbyon nuclear complex with a formal declaration of the end of 1950-53 Korean War by the US. North Korea might also resume some lucrative economic projects with South Korea. Though the Summit opened a path to peace, there is still not a concrete plan for denuclearisation of the Korean peninsula. That was the first time that a sitting US president met a North Korean leader in the last 60 years. The meeting followed decades of hostility, which worsened following North Korea’s nuclear missile tests that brought America within striking range. South Korean President, Moon Jae-in was the one who had helped set up the first Trump-Kim meeting. Moon himself held three summits with Kim in 2018 itself. During the Inter-Korean Summit in April 2018, both the leaders signed a landmark peace agreement ‘Panmunjeom Declaration’ for the complete denuclearisation of the Korean Peninsula. The two leaders pledged a ‘new era of peace’ through the joint declaration. It was the first time that a North Korean leader crossed over the southern side of the Demilitarised Zone to enter South Korea, since the end of the Korean War in 1953. Denuclearisation of North Korea The Denuclearisation of North Korea has recently become crucial for the world leaders after they witnessed the back-to-back nuclear missile tests by the North Korea. These nuclear weapon tests came as a shock for the US when America was brought within the striking range of North Korea. Since 2011, the country has fired over 80 missiles and conducted four nuclear weapons tests. In 2017, North Korea launched its first-ever intercontinental ballistic missile and threatened to send more missiles into the waters near Guam, a US island territory in the Western Pacific. The country has repeatedly demanded that the United States should reciprocate with measures such as sanctions relief. 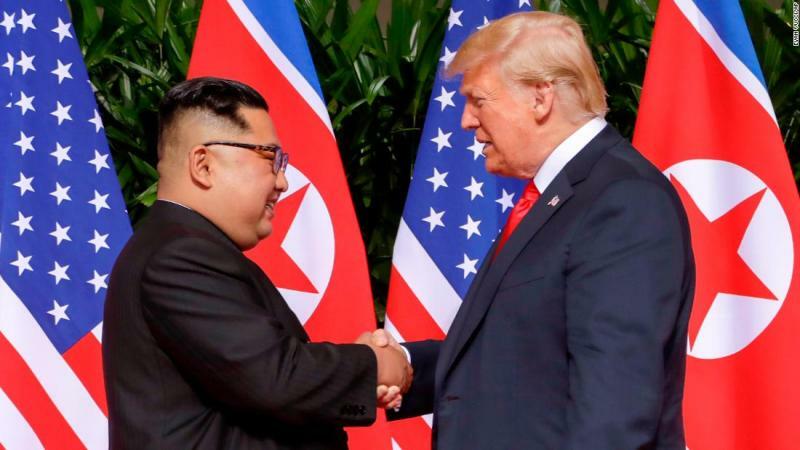 Impact after Trump-Kim Summit Following the Summit, North Korea released American detainees and announced the suspension of the nuclear and long-range missile tests and dismantling of a nuclear test site and parts of a rocket launch facility. All this was done in the absence of outside experts. However, the satellite videos taken since the June 2018 summit indicated that North Korea is continuing to produce nuclear materials at its weapons factories. Even the monitors of the United Nations (UN) in the first week of February 2019 observed that North Korea is still working to protect its ballistic missiles against American military strikes. They also observed that the country was illegally evading sanctions against it.